Meditation is one way of cultivating a more mindful way of living and can be practised at home, work, school or college and I often teach my clients very short meditations that they can do at the bus stop, queuing at the supermarket or even at work or school when they need a discreet ‘time out’. 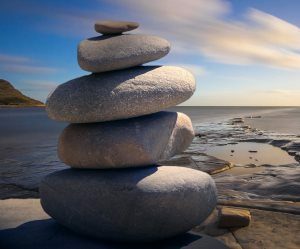 Mindfulness has been recognised more and more as an effective way to increase fulfilment, reduce stress, raise self-awareness, enhance emotional intelligence, and undermine destructive emotive, cognitive, and behavioural processes. Meditation is just one way to practice mindfulness. It is a technique that encourages and develops emotional positivity, a calm mind and clarity of thoughts. With regular practice, meditation offers a way to cultivate new and more positive ways of being and nourishing a more peaceful mind. It is not about sitting cross legged and humming, it is simply being; allowing your feelings and thoughts to pass by without judgement or criticism. To develop self-acceptance and self-compassion. How can mindfulness help you at work? If you have any questions about mindfulness and the courses that I offer take a look at the Contact page for the numerous ways you can contact me.